Having championed the use of internet as a collaborative educational platform in schools and museums in Italy in the early 1990s, Andrea Bandelli worked on the development of both the science center NEMO in Amsterdam and the Miami Museum of Science, and became a partner of NISE, the Nanoscale Informal Science Education network, working with the Exploratorium in San Francisco. He has led, managed and evaluated several international projects linked with science, art, democracy and public participation — many in collaboration with Ecsite, the European network of science centers and museums. Bandelli has written widely on public engagement with science and he has recently completed his doctoral research on scientific citizenship and the role of public participation in science centers. 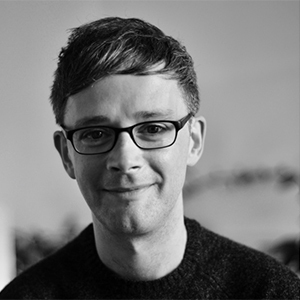 John McDaid is Creative Director of Dog Ears, a children’s media company based in Derry who make TV, apps, books and events for kids. Dog Ears has produced two series of its first animated show, Puffin Rock: a multi-award winning co-production with Cartoon Saloon and Penguin Books. John is producer on Puffin Rock, now broadcast in almost every country in the world on Netflix, RTE Jr and Nick Jr among others. John is also a director of the Humdinger! Children’s Story Festival, a Dog Ears event which brings luminaries from the world of children’s books, illustration and apps to the North West – including Julia Donaldson, Oliver Jeffers and Tony Ross. Humdinger! has seen authors and illustrators captivate over 30,000 children and families to date. 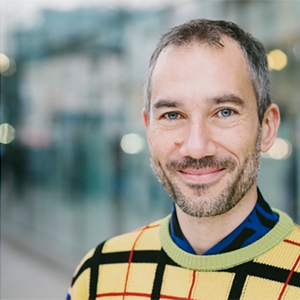 Before Dog Ears, John worked as a multi-disciplinary designer for 15 years, creating cross-platform work from apps to conference design to film, for clients including the BBC and the Department of the Environment. Most recently John has been developing exciting new projects at Dog Ears, and also directed and produced the new Puffin Rock Music! app. 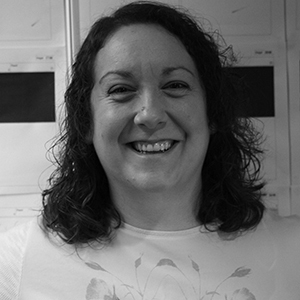 Aoífe Doyle is the creative director and co-founder of Pink Kong Studios. An award winning Dublin based animation studio creating branded animated entertainment for TV, Games, Film and Advertising Houses. The studio's vision is to create original, high end, story driven animated content for worldwide viewers. Our highly experienced creative team are passionate about the animation process. On each production we are driven to create innovations in storytelling. Adding value for our clients by being unafraid to colour outside the lines! Within her role at Pink Kong Studios Aoífe has lead the creative team on every project, writing and directing on commercial work as well as the development slate. She is the creative driving force of Pink Kong Studios. Guiding artists and ensuring the studio adheres to the creative vision. Most recently Aoífe has been directing the studios next TV series "Urban Tails" which has been piloted on RTÉ as part of the animated short schemes. This series has been developed into an international series where young people learn about different Urban Animals around the globe.